Injured at Work or In Another Situation? 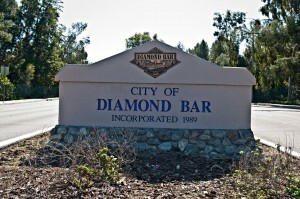 Speak WIth a Diamond Bar California Injury Lawyer About Your Workers Compensation or Personal Injury Case! Diamond Bar Workers Compensation – If you are facing a workers compensation claim and need an advocate that has your interests in mind, you should contact our law office to learn what we can do to help you with your unique legal circumstances. We represent individuals in court against the insurance companies every single day. A Diamond Bar California work injury lawyer can fight for more benefits, more compensation and get denied claims admitted by arguing the case in front of a judge in a court of law. That is what we do! Our workers compensation Diamond Bar law firm practice serves Diamond Bar California residents who have fallen victim to injury or illness arising out of and in the course of their employment. When injury occurs due to an accident on the job or arises from repetitive work activities, California employers are required to carry workers compensation insurance to provide compensation and benefits needed to help their employee recover. In exchange for providing insurance coverage, the employer is protected from facing lawsuits for negligence by their employees in civil court. 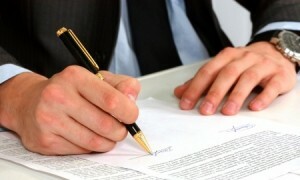 However, claiming benefits under workers compensation law is not a simple process. The insurance adjuster looks to control costs at every turn while the injured worker looks to increase the payout of needed money and medical benefits on their claim. This naturally puts the insurance adjuster and the claimant at odds with each other throughout the entire claim due to their conflicting goals. 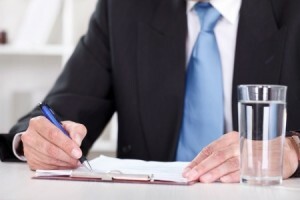 Diamond Bar California Workers Compensation Lawyer at CalInjuryLawyer.com will evaluate your legal situation for you for free when you pick up the phone and contact him off the number on this website. If you have had your claim denied, or are afraid you are being shortchanged by the adjuster, you can contact us to see if we can help you right away! All case evaluations are free of charge. Should we take on the fight with you, you pay nothing to us (no costs or attorney fees) until and unless we recover money on your workers compensation law case. Personal Injury Law Diamond Bar – If you have been injured by another person or entity, you might have a lawsuit cause of action against them for damages if they were negligent or breached a legal duty. Common injury scenarios involve dog bites, medical malpractice, nursing home abuse or neglect, dangerous products, slip and falls, and auto accidents. We are experienced trial lawyers who take on the cause of hurt individuals against those who we believe are responsible for our client’s injury. Although no lawsuit can make up for a permanent injury, which often causes significant pain and becomes a life-altering event for all concerned, money damages can be sought in a court of law to compensate the victim. If you or a loved family member or friend has fallen victim to a personal injury, you can contact us right now and we may be able to help you. California personal injury attorney – provides the people of Diamond Bar California with free case evaluations to help them determine if they have a case that we can handle and what cause of action they might be able to assert. Should a viable cause of action be identified and our office hired to bring a claim and lawsuit, we will not charge one penny in costs or attorney fees unless the case is brought to a successful recovery via settlement, arbitration, mediation or court award. We will take a look at and discuss any possible case he is called about, free of charge. Whether the injury is minor, moderate or catastrophic, we have the litigation experience and resources to take it all the way through trial if that is necessary to obtain justice. If you need help, a knowledgeable diamond bar personal injury lawyer is available today to speak with you about your situation. Have you been injured at work or related legal issues like: Disabilities, Occupational Injuries, Nursing Home Abuse, Wrongful Termination, Negligence and Harm, Workplace Accident, Injured at Work, Aviation Accidents, Car & Auto Injuries, Wage & Hour, Work Injuries, Compensation Claim, Medical Negligence, Workplace Injuries and Illnesses, Medical Bills, Wrongful Death, Products Liability, Slip & Falls, Accident at Work, Train Crashes, Dog Attacks & Bites, Discrimination, Pain & Suffering, Catastrophic Harm, Personal Injuries? We Can Help! Contact our Diamond Bar California Injury Lawyer Office and get a Free Lawyer Consultation to find out more about your specific legal case.